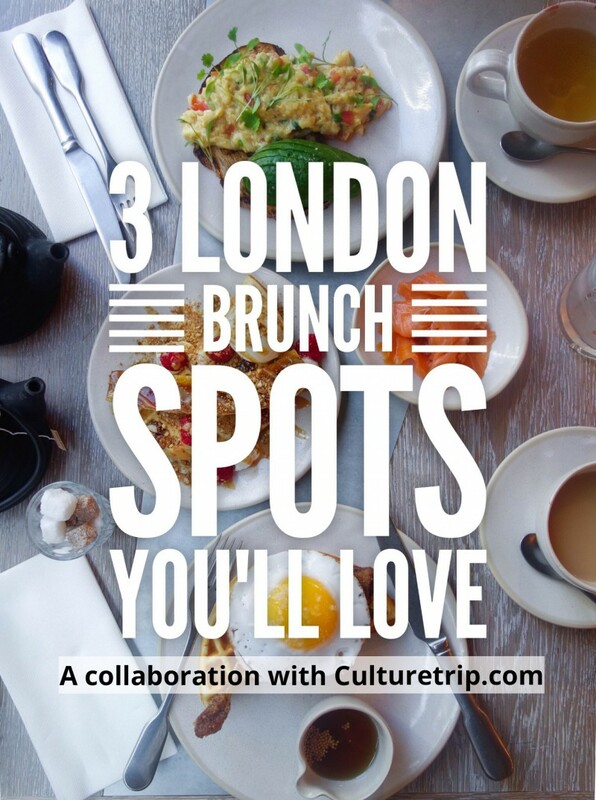 3 Brunch Places You’ll Love in London – A Collaboration with Culture Trip! ack in October 2017, I was approached by CultureTrip.com to make a video of my top 3 brunch places to eat in London. If you haven’t heard of CultureTrip before, they are a worldwide catalogue of videos and articles from some of the most amazing cities in the world and the best things to do in those places. With 11 million visitors every month and 2.4 million followers on social media they are at the top of their game and below are details of our epic food-filled day and the link to the final video on some of Londons best places to eat brunch. 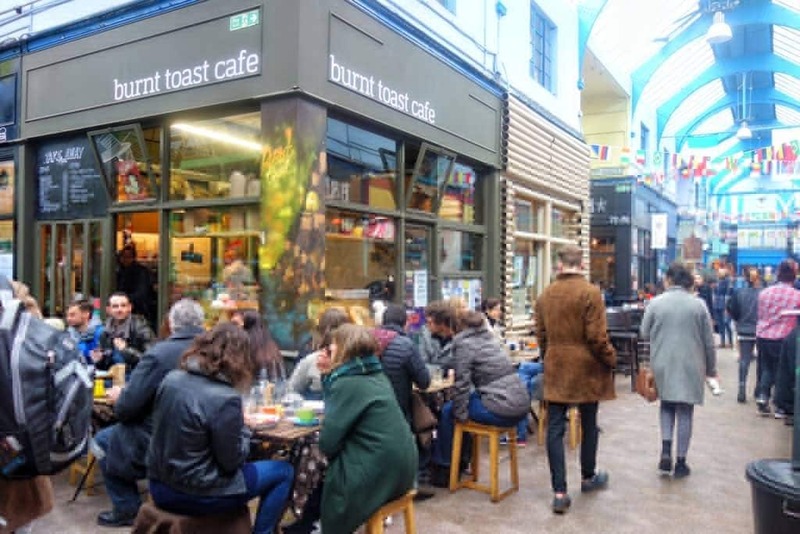 The first place on the brunch hit list was Burnt Toast Cafe in the awesome Brixton Village – one of my favourite hangouts in London! Ran by the lovely Aussie chef Daniel Fetini, his alfresco cafe has a menu made up of brunch classics but all with Daniel’s own twist. The eggs benedict have been given a Mexican makeover and is made with chorizo and avocado. Plus the French toast is possibly the best you will ever have. Ready for this? Homemade fig and walnut loaf is soaked in cinnamon, coconut sugar and topped with mojito soaked berries and homemade butterscotch sauce. Even the crew couldn’t get over how amazing it was. Not only is the food here great but the atmosphere of the village is always lively and Burnt Toast definitely plays a part in that. 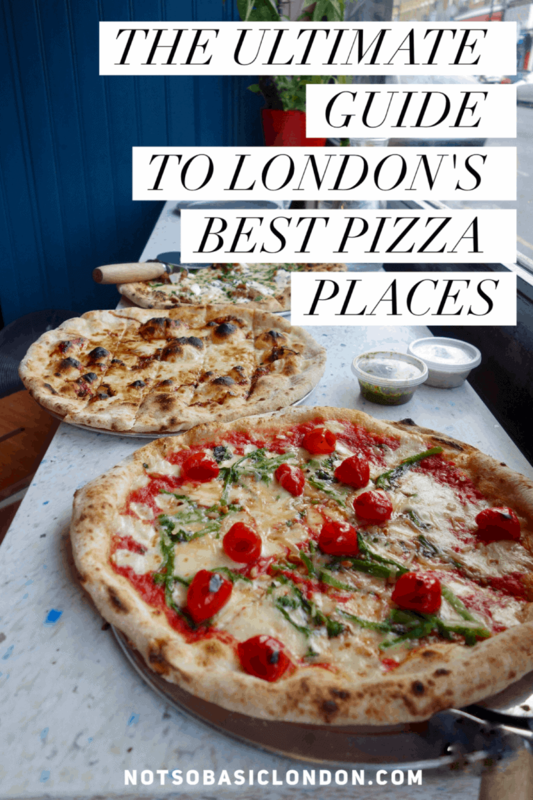 I found them back in 2015 and mentioned them many a time on my blog including on my list 20 London foods you must eat in 2018. Thanks to Daniel and his team it’s exactly what you want on a weekend morning! As long as I’m in London I will be loving these guys! 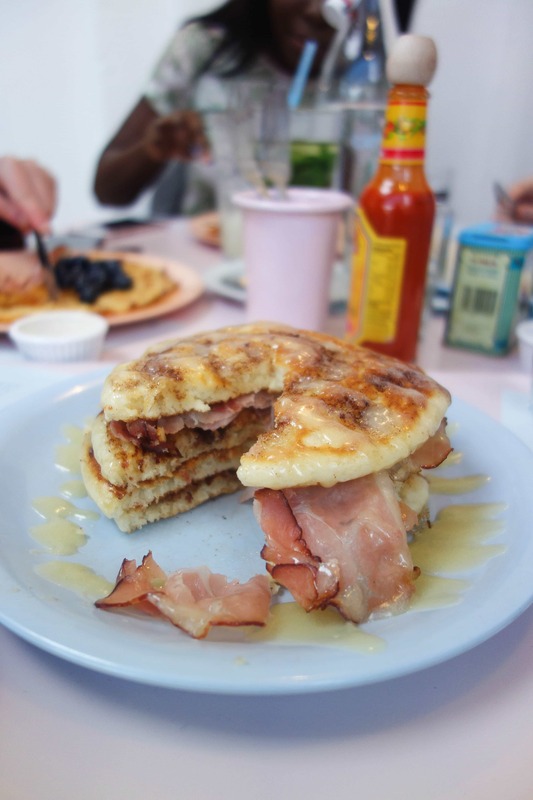 The second place featured on the video is quirky cafe ‘Cafe Miami’ in Hackney, East London. 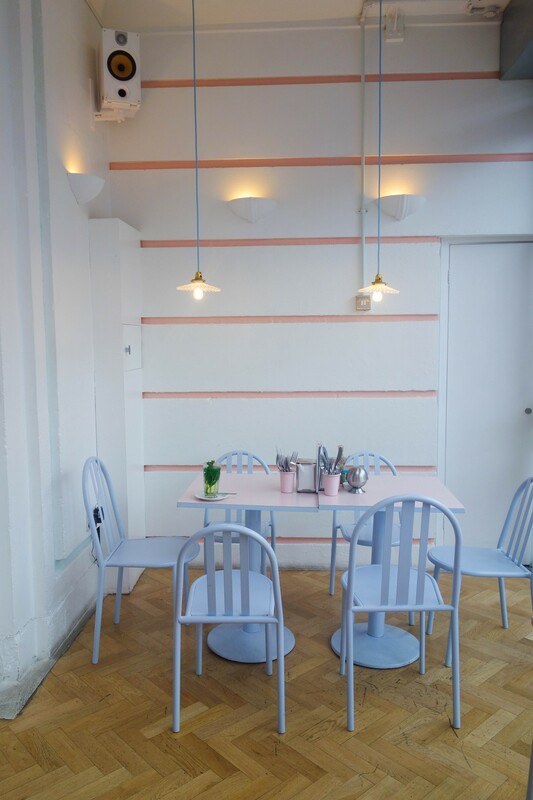 Inspired by art deco Miami, the interior is a pastel lovers dream and it’s so ‘instagrammable’ it hurts. 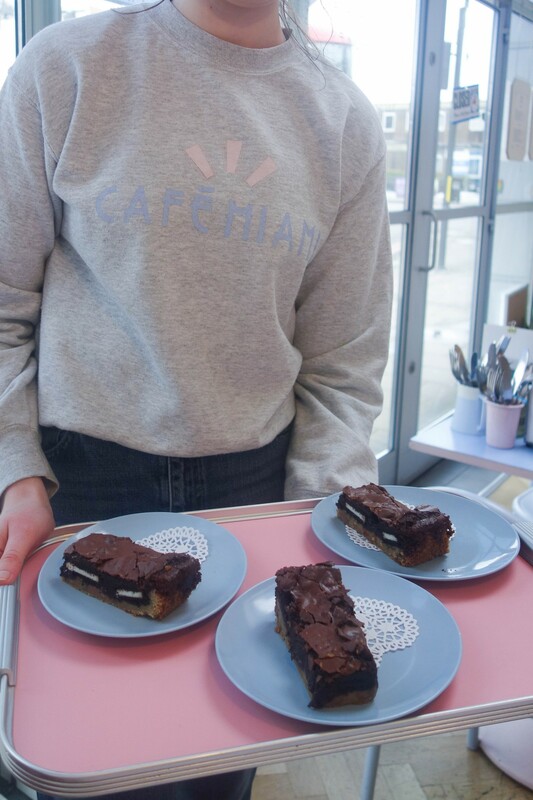 The cafe is owned and ran by Sophie Wright who has a love for all things retro. The story goes that she was actually living above the shop that housed another eatery. She was looking for a space to open a cafe and the already shop below her became available already with her favourite art deco features. Talk about meant to be! 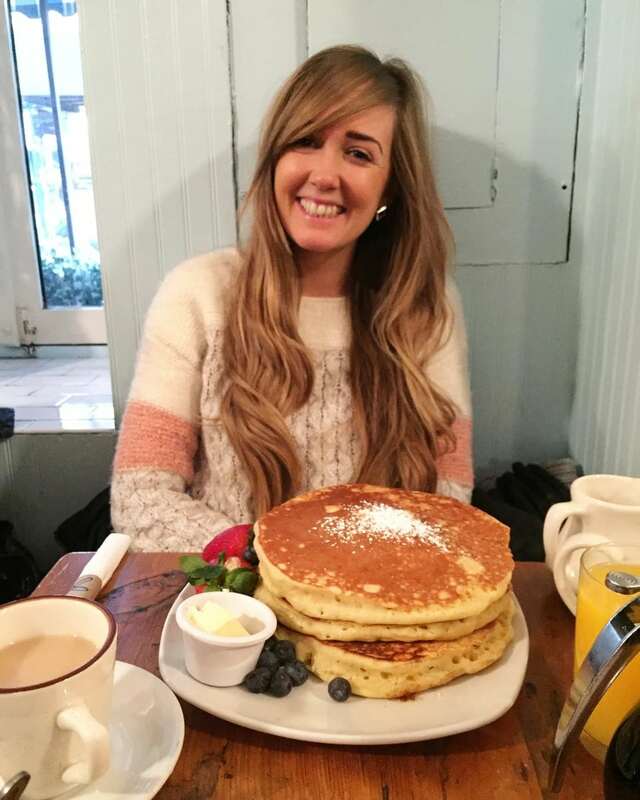 Her food is inspired by her love for Miami which is known for it’s Spanish and Mexican influence and features dishes like breakfast quesadillas, waffles with chorizo and avocado, as well as more traditional American style plates like stacks of pancakes filled with Nutella or topped with forest fruits. 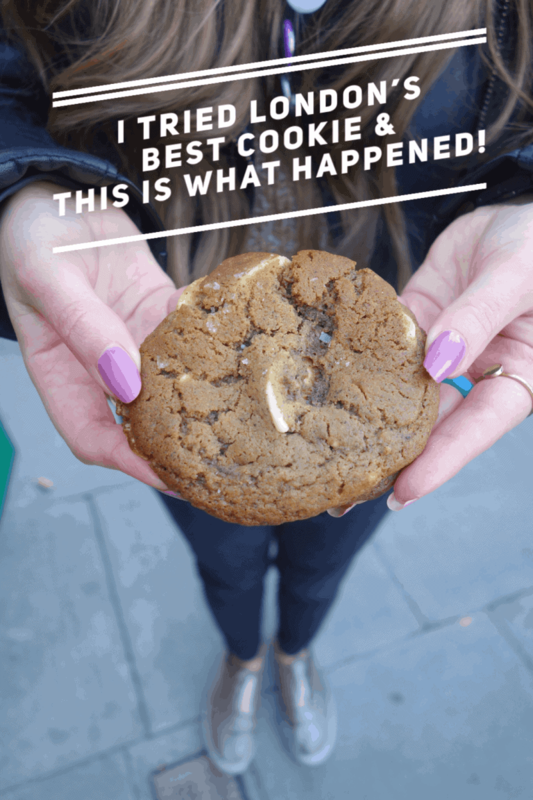 Whats lovely to know about this bunch spot is that it was born out of Sophie’s genuine love for all things Miami and the fact that her mum makes the banana bread makes me love it even more! 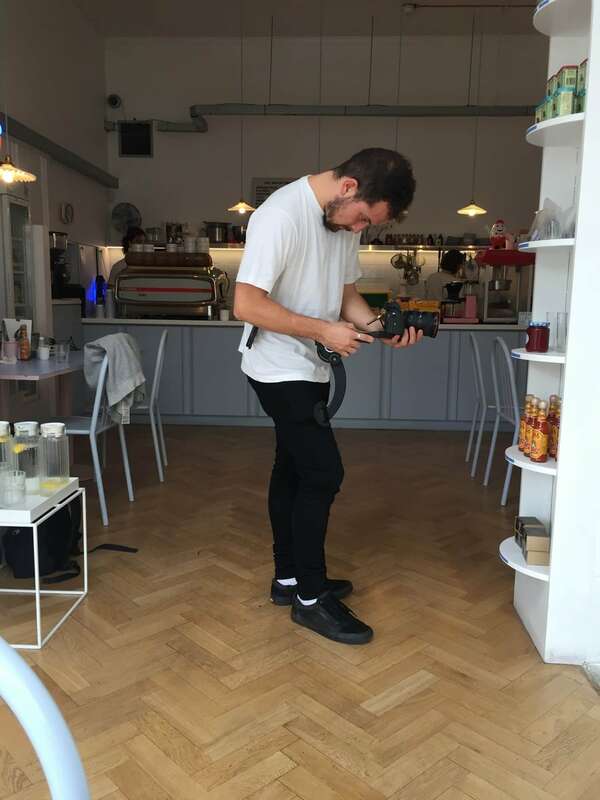 So get your camera ready and venture up to Hackney one weekend. 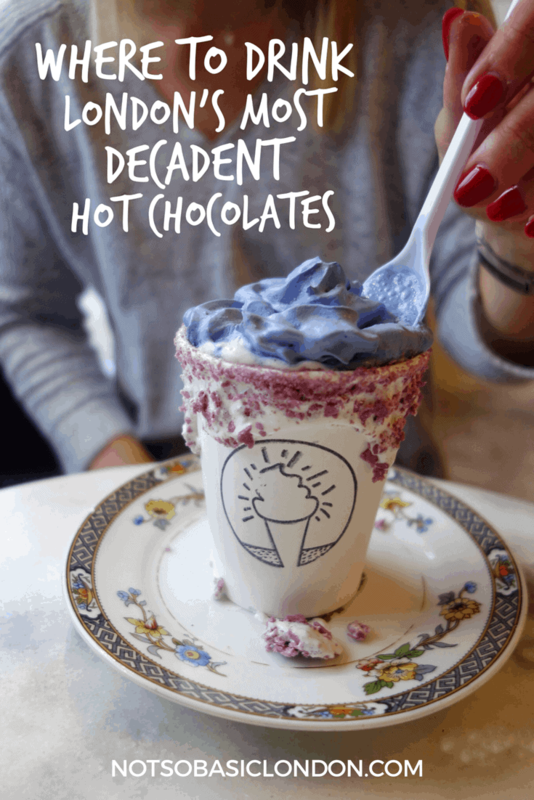 Your Instagram and stomach will love you for it. Duck & Waffle Local, Piccadilly. 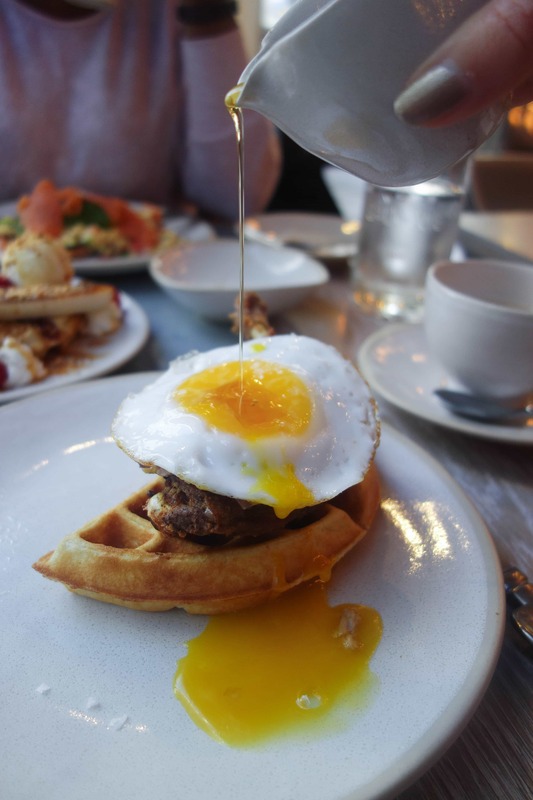 The final feast was a trip to Duck & Waffle Local in Piccadilly Circus – Sister restaurant and casual version of the skyscraper phenomenon that is Duck & Waffle. 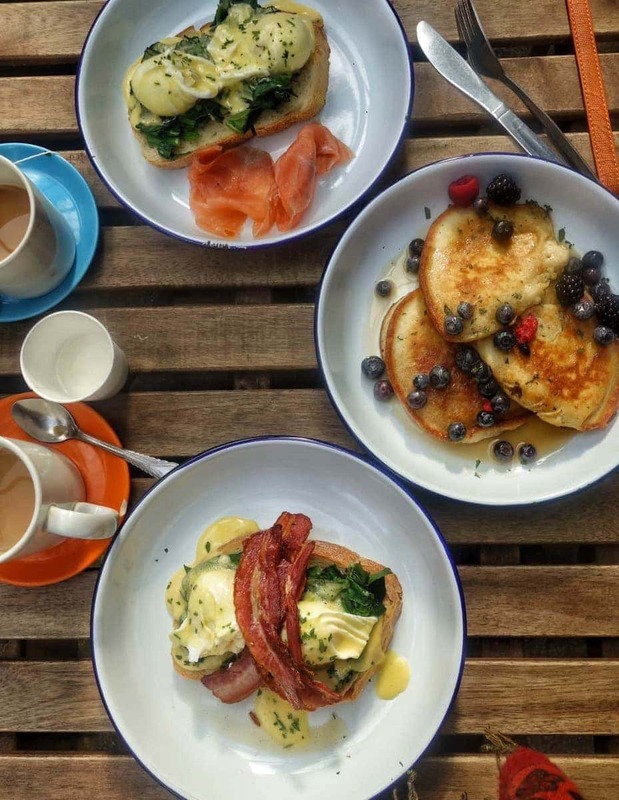 Headed up by chef Dan Doherty, the menu is inspired by duck focused creations that make it one of the most unusual places for brunch in London and somewhere to try things you won’t find elsewhere. 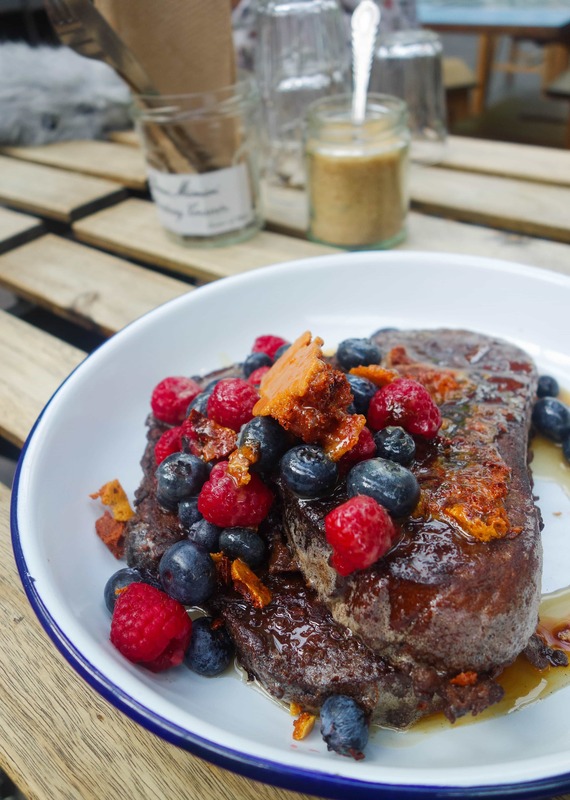 They have their signature duck and waffle dish for example and also the most unusual thing I’ve EVER eaten for brunch being their duck jam doughnut. 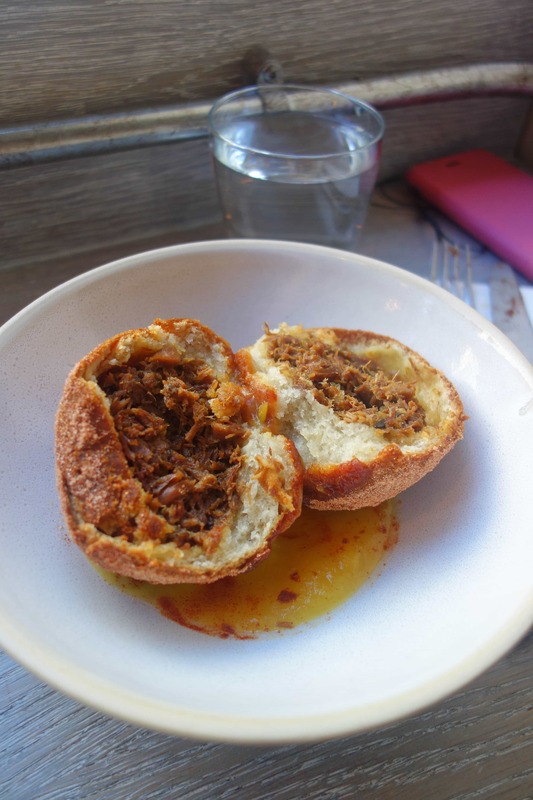 Soft dough that’s deep fried, filled with shredded duck and rolled in a sweet, spicy sugar. (Thank you, Dan!) You should have seen us after we stopped filming devouring that thing! 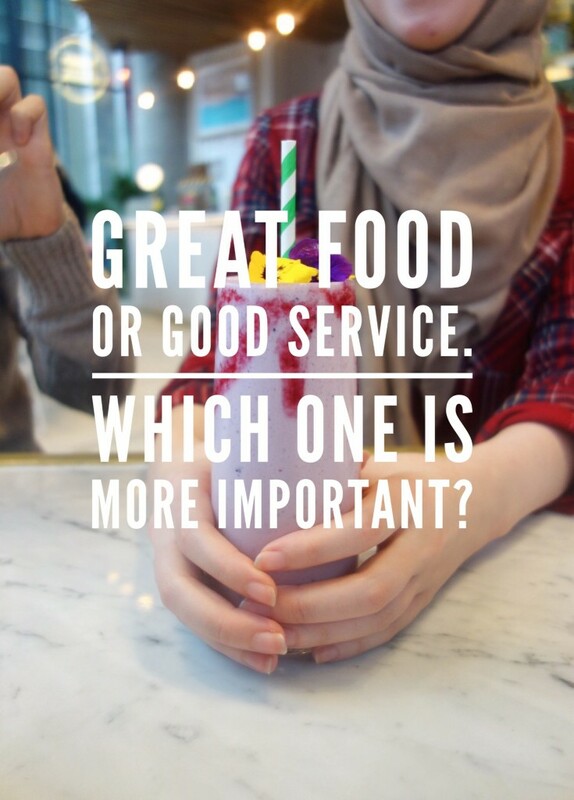 The decor will have you feeling like your eating somewhere super swanky without the price tag attached (Just what we like to hear) and don’t be put off if your veggie – the Columbian eggs and peanut butter jelly waffles are on point. 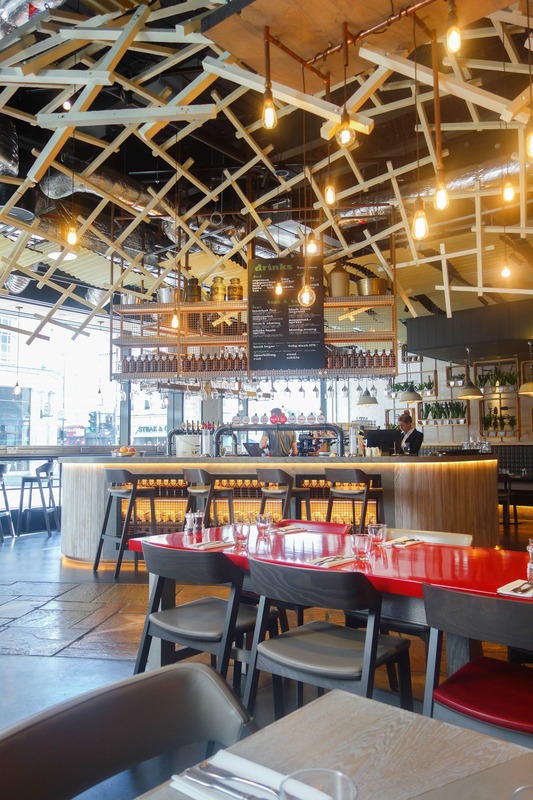 So next time your feeling like something a bit different Duck & Waffle local is the one. 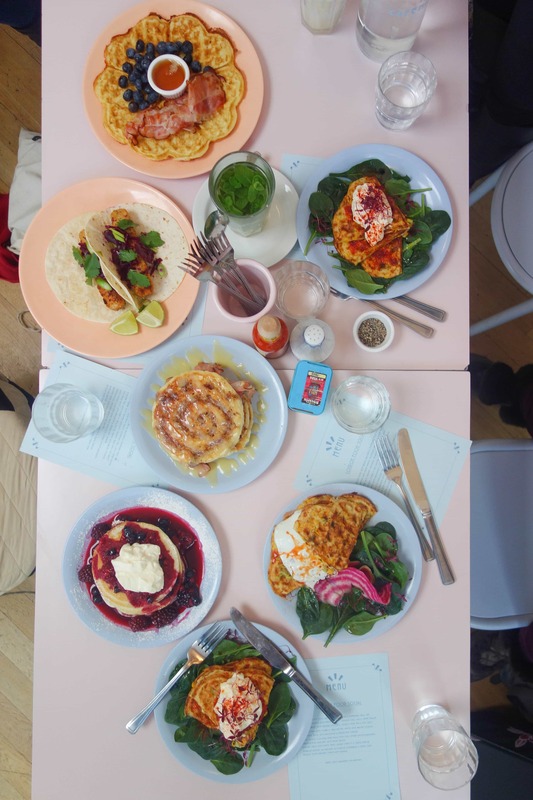 For me, these three spots define the eclectic, interesting and most importantly delicious brunches London has to offer. 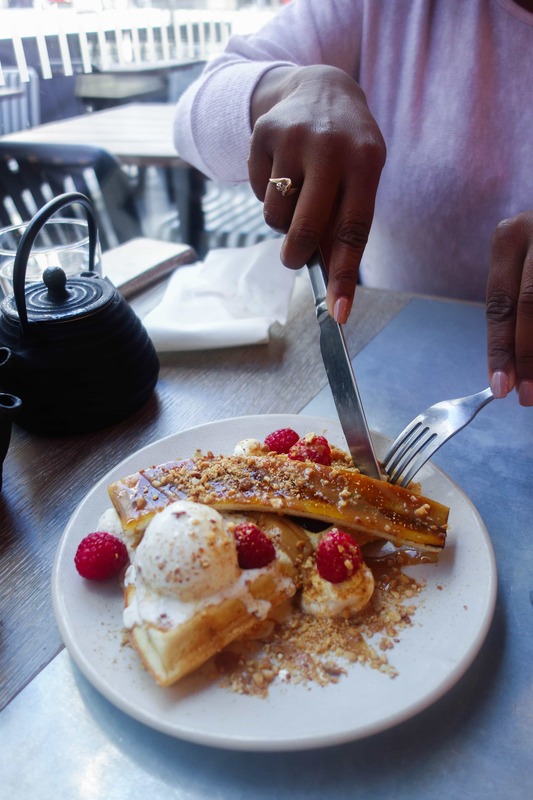 There are not many places in the world you can get French toast cooked by an Aussie chef, eat pancakes in an art deco cafe and experience the wondrous combo that is a duck and waffle at the restaurant of the same name … all in one amazing city! What’s The Deal With Avocado Toast? Previous Post Behind the Blogger – 30 Things You Didn’t Know About Me! 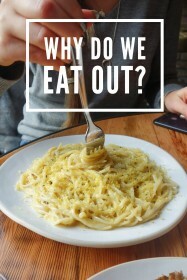 Next Post Why Do We Eat Out?